While many large-scale development projects are gauged on variables such as sustainability, user enjoyment, and public contribution, ultimately any development must be constructed within a defined budget if all principal and ancillary stakeholders are to benefit from the development. Therefore, a project developer has the critical task of identifying and pinpointing actual project costs if – but how can a developer accurately assess construction costs at a phase before the delivery of reliable construction documents? Seasoned developers rely on a combination of approaches to determine predictable and unpredictable construction costs. There are three basic techniques most widely used by the project professionals worldwide to estimate activity duration and build the schedule. Analogous Estimating;Parametric Estimating; andDefinitive Estimating. Much like the name suggests, the Analogous Estimating method uses comparisons to past projects that may be similar to the project currently under development. Utilizing this method, a developer must derive connections between projects to define a new project cost accurately. While this cost estimating method may be very useful for smaller development projects (i.e., cost to construct a single repetitive fast food building), this methodology begins to fall apart as a project becomes more complex, and therefore, more distinct in its overall requirements. Overall, the accuracy of the Analogous Estimating Method is highly dependent on the level of similarities between a new development and projects from the developer’s past. Although there are many instances when a developer can reliably depend on the Analogous Estimating Method, more often a development project has a uniqueness that prohibits it from being directly compared to past projects. In these cases, the Parametric Estimating Method would be utilized to provide a quick estimate of construction costs during a project’s due diligence period. Much like other methodologies, the Parametric Estimating Method relies on actual project costs from previously completed developments. However, the Parametric Method differs in that it accommodates for a project’s uniqueness. For example, if a previous 100,000 sq. ft. retail shopping center cost $10 Million to complete, what would a safe construction estimate be for an 80,000 sq. ft. retail shopping center? The Parametric Estimating Method is perhaps the most widely-used cost estimation practice in the development industry. Many times, developers will use "per square foot" cost estimates to quickly assess a project’s viability. Of course, the final costs will vary depending on the site, building finishes, and tenant requirements, but during a project’s due diligence period, it would be reasonably safe for a developer to use a $8 Million project budget for general analysis. The previously addressed cost estimating methodologies are useful for repetitive or common construction types. However, more and more, markets and consumers are demanding unique, mixed-use type projects that are adjusted and conforming to surroundings and local context. Therefore, it is important that a developer takes the time necessary to accurately assess each and every segment of a proposed project’s cost. The most time-consuming and cumbersome preliminary estimating methodology is the Definitive Estimating Method. Sometimes referred to as the Bottom-Up Estimating Method, this process requires a deep level of diligence and can become costly even when a full set of construction documents are not available to the cost estimator. While the definitive approach is the most accurate way for a developer to estimate construction costs, this methodology is only useful when each and every detail of a project is known. 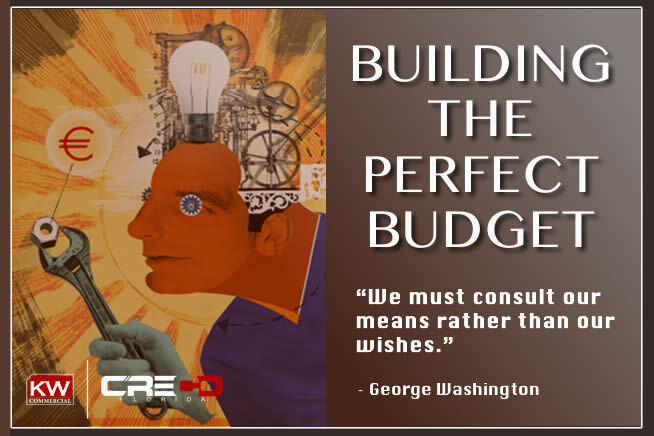 Any preliminary cost estimate is only as useful as the information used to derive the development budget. Therefore, a developer focussed on accuracy, must understand his or her limitations and tap into the knowledge base of other seasoned professionals. If relying on the Analogous or Parametric methods, discussions with other developers, contractors and subcontractor may lead to more detailed comparison projects. No two projects are the same so the more data collected from previous projects, the greater theoretic accuracy can be exuded from historical data. Of course, it is up to the developer to extract and utilize relevant data from past projects, so finding similarly notable projects would be the first step to proper cost estimations. Once similar projects are identified, those project professionals can be interviewed to provide detailed actual statistics from completed project data. If a developer is committed to the Definitive Estimating Approach, he or she will most likely engage many experienced sub-contractors and project specialists to provide insight into specific project costs. For example, if a developer were contemplating a 40-story high-speed elevator, it would probably prove prudent to discuss the anticipated cost of this system with top elevator installation firms. This specialty lift system is so unique that reliance on other estimating methods may prove useless.